I had a wonderful time with my sisters this weekend. We did a little shopping, went out to eat a few times and even went to the Casino! I am not a big gambler but I did play some pull tabs and won a few bucks, yeah! We enjoyed just being silly and I have to say, I haven't laughed so hard in my life...we really had a great time! I have a super sweet card to share with you today using an adorable cut file from Kadoodle Bug Designs that I cut on my Cameo. I started with a card base and layer using Spellbinders Grand Scalloped Rectangles metal dies. I then have 2 panels that I distressed with the Zutter DIA and adhered in place. The pattern papers are from My Mind's Eye~Merry Days of Christmas. I cut the darling bear from Kadoodle Bug Designs Fun in the Snow cut file and put it together and then stamped the face with PK170 Teddy Bear Asst stamp set. I colored the eyes, added rosy cheeks, freckles and with foam dots, put in place. I added some pretty new sheer ribbon that I got from Christmas and tied a bow. I layered a double bow using silver thin string and then a sparkly button for an added touch. The tag is cut at 3/4" with the Art Philosophy cartridge...still one of my favorite cartridges! I stamped the sentiment with My Craft Spot's Think Snow stamp set. The sparkly snowflake was glittered with Sparkling Ice as was the fun little snowballs. I finished with fun little skittles in the corner from my friend, Carri at DoubleClick. Sweet. Like the image, layers & especially the embellishing. Your card is adorable! I love the snowman and the bow! Thanks for playing along with us at Scrapy Land Challenge #9! Ohhhhhhh this is adorable! LOVING the colors and his little earmuffs!!!!! 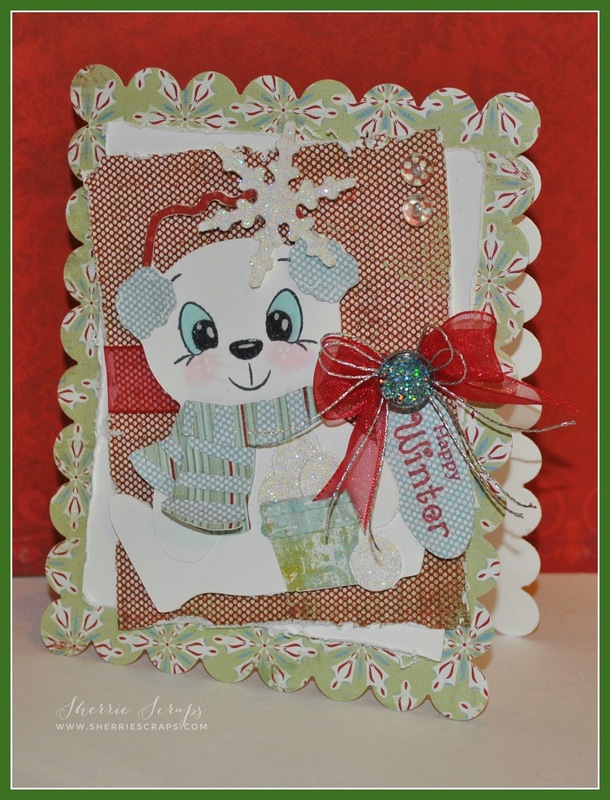 So adorable Sherrie, glad you got a chance to enter the DL.ART JANUARY LINKY. So much fun following you aND your sisters adventures. This is so adorable Sherrie!!!! I love it!! That bear is just to cute!! I love the whole set up of your card. What a darling bear! Love the base shape. I plan on using my Spellbinders more to see what type of backgrounds I can create. Adorable card! Your little bear is the cutest thing ever! Love the sparkly snowflake and gorgeous ribbon too! So glad you had a blast with your sisters, those memories are just priceless! Sounds like you had a great weekend....and your little bear is darling! This is so sweet, Sherrie!! The bear is adorable!! I love his rosy cheeks!! The ribbon is so gorgeous!! The sparkly button is a perfect touch!! Absolutely fabulous card my friend!! Sherrie ~ Oh how ADORABLE!! 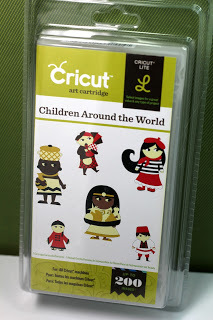 LOVE the cut and oh my the papers are FABULOUS together! Oh I LOVE to gamble ~ when I have extra money ~ which is never!!! LOL!!! I hope it warms up soon for you all ~ wishful thinking right??? What a adorable card!! Love the sweet bear and the pretty bow!! Have a great day. Glad you had a good time! Always good to have some r & r!!! Your card is so adorable! Sure put a smile on my face I have needed lately! I can always count on my bloggy friends for that! Very cute card! Love this adorable bear! Love the face and really like the distressing. Hope you have a great day!! So glad you had a good time with your sisters this weekend!! Your card is super adorable. Love the papers you used. Have a great week!! This is so super adorable Sherrie!!!! LOVE that cutie bear!!! AWESOME job embellishing too my friend!!!! This is adorable Sherrie, I love that image and the fancy, fancy bow you gave him!! Absolutely adorable! Love the papers you used and that bear is just precious! And so many wonderful details! Love it!! 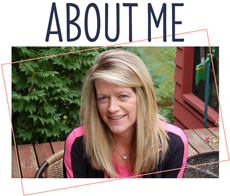 This is darling, Sherrie! I love the softer colours you've used for this project. Glad you had a wonderful time with your sisters. Have fun spending your winnings!! And thanks for your kind words on my blog. 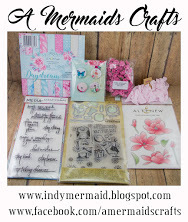 I'm sad to say farewell to My Craft Spot but am excited for the new things in store with Craftin Desert Divas. Super cute card Sherrie! Love all the shimmery details and darling image! This is such an adorable card Sherrie! Thanks so much for participating in our Really Reasonable Ribbon Challenge.I am now your newest follower and would love it if you visited my Make Time To Craft Blog and became a follower too. Adorable scalloped card! I love your bow with the silver twine. Thanks for joining us at RRR! Aww...Super cute card...sweet little image...sooo cute!! This is such a cute card and an adorable image. 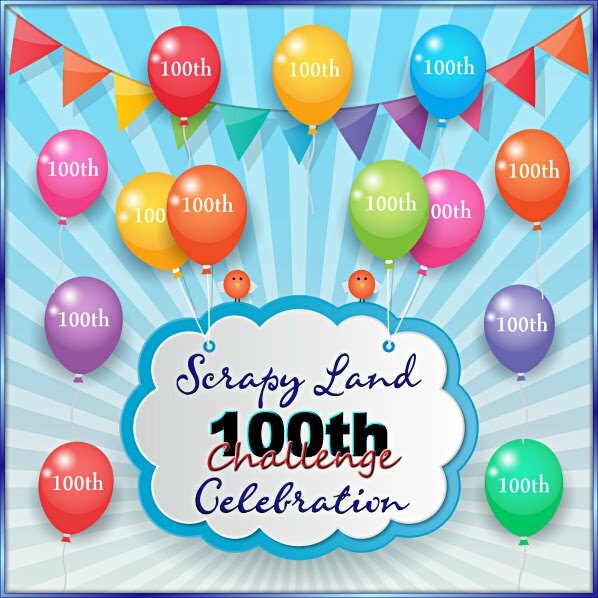 Thanks for sharing it with us for the Scrapy Land Challenge. Awe how sweet. Love the soft colors and patterns and that adorable little bear. Too cute my friend. Totally aforable card Sherrie! Love the little details and that sweet little face! Thanks for sharing with us at FCCB! Sherrie, it looked like you girls had so much fun! I enjoyed the pics, co CUTE! Oh this is absolutely adorable, those eyes speak to you.